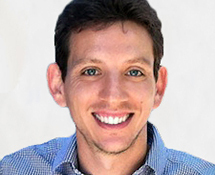 Peter Bergman is a senior research associate at CCRC and an assistant professor of economics and education at Teachers College, Columbia University. His research focuses on field experiments designed to improve financial and educational outcomes for low-income families. His current interests in higher education include evaluating the returns to STEM-related degrees, testing strategies to improve take-up of education-related tax-benefits, and assessing the effects of these benefits on student outcomes. He earned his PhD in economics from the University of California, Los Angeles. He participates in CAPR’s assessment study.